You can now buy and sell with Paypal on the PriceCharting Marketplace. This was the most requested feature from our users. When checking out, you will see a page like the one above. 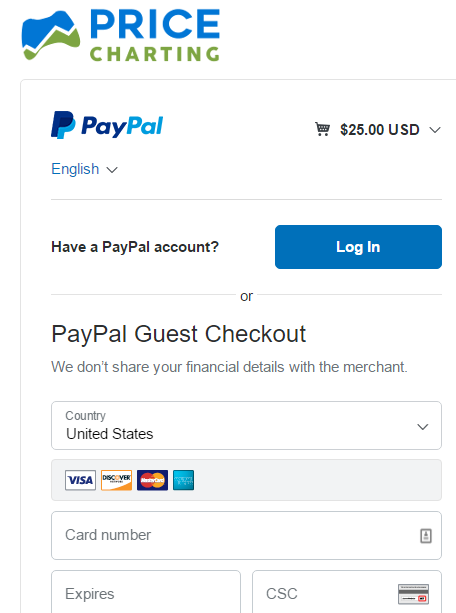 It asks you to log into your existing PayPal account or checkout as a guest (credit card only). If you have a Paypal account, you can start selling on the Marketplace too. Funds will be deposited directly to your Paypal account just like any other Paypal payment. If you don't have a Paypal account, you can signup for one and start selling within minutes. Try clicking 'Buy It' on any marketplace listing and give us your feedback in the comments below. For existing sellers, we will continue to support Stripe until the end of March 2017. Then you will need to migrate over to Paypal or your listing will be closed.